Benjamin Allen is an experienced trial lawyer known by his clients for his outstanding dedication. Ben strongly believes the best way to achieve success is through preparation, so he works tirelessly to prepare his cases, whether in front of an arbitration panel, at the negotiating table, or in the courtroom. Ben attended the University of Texas at Austin where he received his undergraduate degree and his law degree. Upon graduating with his J.D., Ben began work Haynes & Boone, LLP where he practiced commercial litigation. Ben then joined Johnson, Trent, West & Taylor LLP where he worked for several years before becoming a partner at Feldman & Feldman in 2017. Ben has managed and prosecuted a multitude of lawsuits in many different areas of law. He has prepared and argued hundreds of motions, drafted multiple successful appellate briefs, taken countless depositions, and currently maintains a docket of active commercial, employment, and government-related litigation. He understands that learning the client’s objectives and fighting vigorously to achieve them is at the heart of client service. 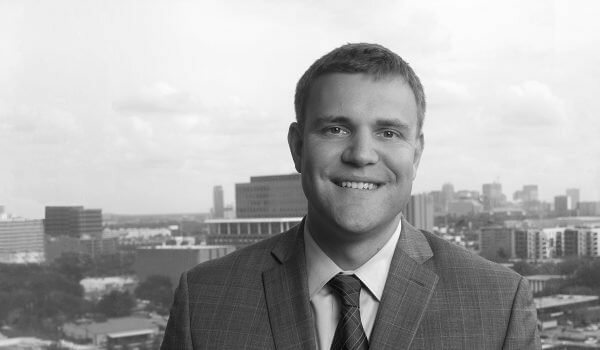 Ben strives to minimize his clients’ litigation exposure and business interruption in every area of his practice, from commercial litigation to products liability to third party discovery. Successfully defended an information technology company against a former shareholder’s claims seeking $1.4 million in restitution for services allegedly performed. The jury returned a defense verdict and the court entered a take-nothing judgment. Cause No. 2008-48663, Alzo Preyear v. Kumar Kansasamy and Advanced Platinium Solutions, in the District Court of Harris County, Texas, 281st Judicial District. Obtained writ of eviction and award of attorneys’ fees in favor of a commercial real estate client following a bench trial on alleged oral modifications to a written lease. Successfully defended the trial court judgment on appeal. Taj Mohamed v. D. 1050, 464 S.W.3d 737 (Tex. App.—Houston [1st Dist.] 2015, no pet.). Arbitrated claims on behalf of call center service company against electricity provider for failure to perform pursuant to service agreement, obtaining a $2.3 million dollar arbitration award. Confirmed in Cause No. 2014-56571, AP Gas and Electric, LLC v. AP Holdings, LLC, in the 234th District Court of Harris County, Texas. Following a jury trial, Ben secured a take nothing judgment against a quadriplegic plaintiff alleging design defect theories on a utility terrain vehicle. Cause No. 1:14-cv-00891-SS, Charlie Campbell, Individually and as Next Friend of S.R. and C.R., and Gina Wolff v. Polaris Industries, Inc.; In The United States District Court for the Western District of Texas, Austin Division. Represented several general contractors in construction litigation and pre-litigation relating to fund trapping, retainage, and mechanic/materialmen claims under the Texas Property Code. Defended sexually oriented business from statutory nuisance claims in bet-the-company litigation. After full discovery and vigorously contested pre-trial motion hearings, the case settled favorably shortly before trial. Defended high-end residential condominium against claims breach of warranty and DTPA claims relating to water intrusion, including successfully appealing an order failing to enforce the residential sale contract’s arbitration provision. See Villa De Leon Condominiums, LLC v. Stewart, No. 2-14-00271-CV, 2015 WL 729462 (Tex. App.—Fort Worth Feb. 19, 2014, no pet.). Successfully obtained dismissal of several lawsuits alleging consumer lending liability on behalf of a large financial institution. Efficiently handled voluminous document productions for oil and gas companies, chemical manufacturing companies, and financial institutions. Argued before the 5th Circuit in USA v. Lipar, Case No. 15-20625, August 29, 2016. MP3 available here.